Nice Holidays 2017 are over! Thanks for coming! Nice Holidays 2017 are over. We know all the winners. In the elite classes the winners are Kamila Gregorová (D21E) and Matouš Fürst (H21E). We hope that you enjoyed your stay in Bohemian Paradise, the weather was excellent and the atmosphere wonderful. Thank you also for joining our accompanying events. Thank you for coming and we hope to see you again next year, probably in area around castle Kost. We prepared short movie from Friday and Saturday, if you did not watch it in the arena on Saturday, you can replay the movie now. More photos coming soon. Bulletin, startlist, course details published! Final bulletin 2 was released, you can see it in html and also pdf for download and printing. When are you going to start you can see in the startlist for all stages and in course details section you can study what you should expect in the forest. We are going to start on Friday August 25th at 4:00 pm, the camp is opened from Friday, 10 am. Weather forecast seems promising. We are ready and we are looking forward to seeing you under Trosky castle! Notice: VAKANT in the startlist do not mean the free spot in the limit of 1300 competitors! It means only the number of maps available and it is meant for our purposes only. Next Friday is going to start the 26th edition of Nice Holiday in Bohemian Paradise. How to arrive to the arena? And what can you expect from the competition? Maximum number of entries filled-up! Entries closed. Unbelievable! All places in the limit of 1300 competitors were „sold out“ very quickly again. We registered over 1000 entries just 40 seconds after the entry system was opened. We cannot offer more places, we have to be glad that we can let 1300 competitors run in such beautiful and attractive area. We really appreciate you interest in our competition and we will try to organize for you very „Nice holidays“ again! Only to runners correctly entered in ORIS entry system we can now guarantee that they can start. Personal data of your entry (SI number, class) can be edited directly in ORIS in term of entries until August 13th 2017. Runners entered as substitutes (yellow marked) should check the entry system and only if they move among correctly entered runners they can send the entry fee and participate in the race. Please, do not send us entry fee if you are among substitutes. We kindly ask all entered runners, if you know you cannot participate, please cancel your entry in ORIS entry system as soon as possible to offer your place to the next substitute. Thank you! We are very happy to announce that Bulletin 1 of 26th edition of Nice Holidays in Bohemian Paradise is now published. You can study all necessary information about the event, choose your favourite class and prepare your entries. The entry system ORIS will be opened on Tuesday June 20th 2017 and closed on Sunday August 13th 2017 or immediately when the limit of 1300 runners entered is filled up. Any other form of entry is not possible. Email communication is meant for questions and changes after August 13th 2017. We are looking forward to seeing you under Trosky castle! Nice Holidays 2017 just beneath Trosky castle! We are happy to announce that Nice Holidays 2017 will be held just beneath remarkable castle Trosky. Event centre will be situated on the meadow near Rokytnice, municipality Hrubá Skála, some 10 km from Turnov and 2 km walking from the castle Trosky. Nice Holidays, edition 2017 will be again 3-days and 3-stages orienteering event in challenging sandstone terrains of Bohemian Paradise area. All stages will be in walking distance from the EC and official camping. First stage on Friday, August 25th 2017 will be the middle distance just beneath castle Trosky. This terrain was last mapped in 1982. You can expect slope under the castle, partly with sandstones and small valleys, partly with green areas and contour details. A brand new map is now being surveyed by Josef Borůvka -expert for sandstone terrains. Second stage, the long distance will be held on Saturday, August 26th 2017 in the area of "Skaláček". See the old map from 2013. You can expect deep valleys bordered by sandstone rocks, slopes with stones and fast plateaus. Free afternoon you can spend on trip to the castle Trosky or to the "rock town" Hrubá Skála. You can expect also our traditional accompanying event "The best puncher of Nice Holidays" - supersprint with oldstyle manual punching. Nice Holidays 2017 will conclude on Sunday, August 27th 2017 with third stage - middle distance. 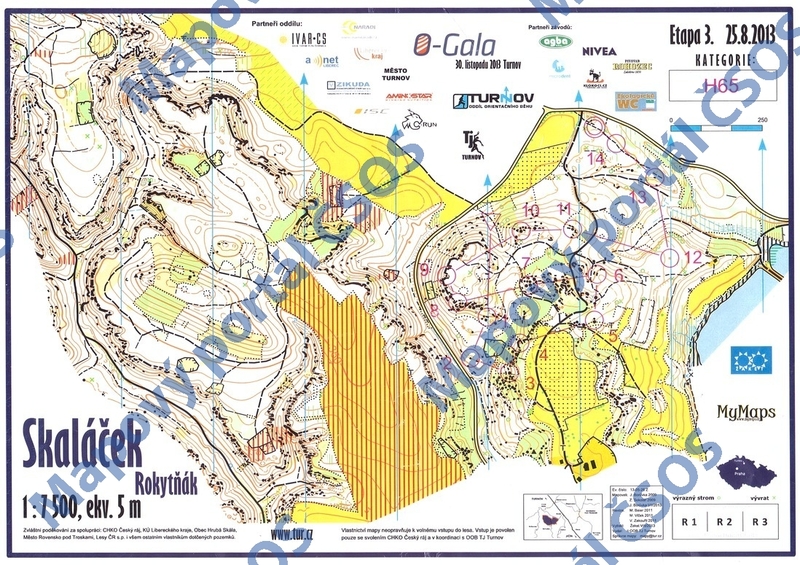 Competitors will taste the area of Borek rocks where is very fast plateau bordered with huge rocks and cliffs. In northern part of the area you can expect also small rock labyrinth. 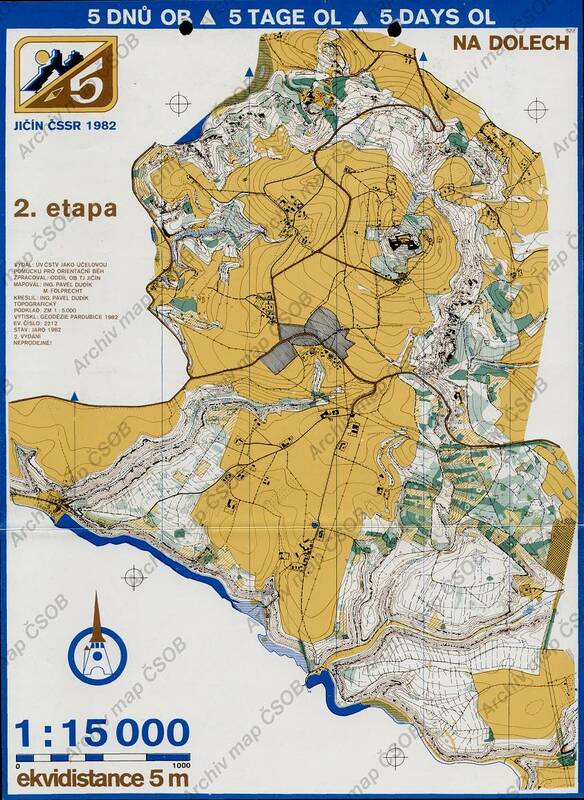 A brand new map for this stage scaled 1:7500 is now being surveyed by Zdeněk Sokolář. The map will cover bigger area than old ISSOM map from 2013. Entry system is not opened yet. We will publish the bulletin when we receive all permissions and then we open the entry system ORIS. Expected starting date of entries is during May or June 2017. The date when entries are opened will be announced in advance through competition web page and social networks. Stay tuned! We are looking forward to seeing you in Bohemian Paradise!